Image owned by the Tea Studio. My first thought was, Wow, that is one SWEET mansion! 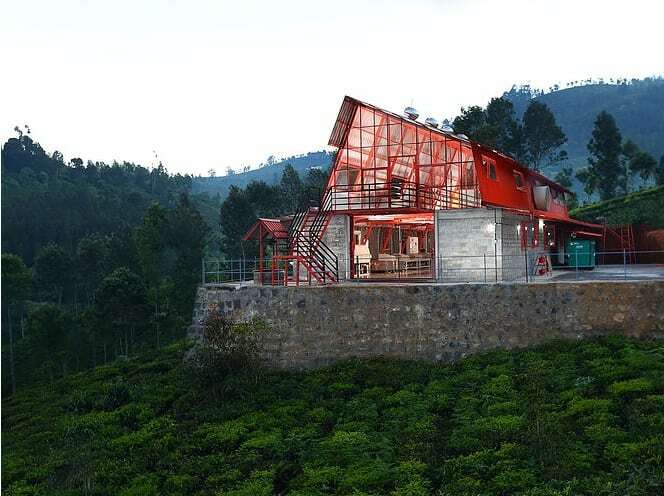 A modern-looking building, decked out with many windows allowing for natural light, smack-dab in the middle of a tea garden? It was as if someone drilled into my brain and pulled out the ideal image of the sweetest tea blogger bachelor pad, ever. But why was it showing up in my feed(s)? As it turns out, it wasn’t a residence, but rather a factory—dubbed the Tea Studio. That sort of conversation – albeit paraphrased – actually did take place between then-collegiate, Raj Vable, and Josh “J-TEA” Chamberlain. That small dialogue led Raj to form a partnership that would blossom into a fledgling tea company in late-2013. The company was called Young Mountain Tea, and its mission statement was near and dear to my heart: To promote direct links between tea farmers, tea vendors and tea consumers. 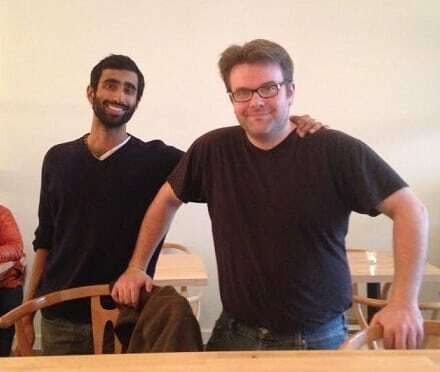 I had the pleasure of meeting up with Raj at Tea Bar roughly a month ago. He explained their story to me, and also passed along some of the teas they were carrying. The one I had read about prior to the meeting – and immediately caught my eye – was Indi’s Gold. It was a black tea produced in Nilgiri under the management of one Indi Khanna – who may just be one of the most adorable Indian growers ever. Just watch the video and marvel at his adorableness . . . and the epicness of that mustache! Beyond the goal of growing the coolest mustache ever, Indi Khanna took a swath of land belonging to the Coonoor estate in Nilgiri, and turned it into an all-organic tea farm. Until recently, production had been so small scale, that teas produced on this small plot of land hadn’t been introduced to the U.S. market. 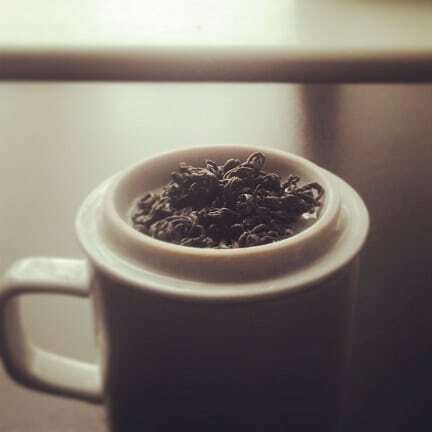 As of a year ago, due to Young Mountan Tea’s introduction, that has changed. I was only a little excited to be one of the first to write about it. The leaves were small, tight and curly – much like a Bi Luo Chun – resembling snail-like, conical shells. Raj had informed me that Indi Khanna had them hand-rolled this way as an experiment. Whatever the reason, they were lovely leaves. The aroma they gave off was both spicy and fruit-zesty with a dash of something that reminded me of unsweetened vanilla. There were no brewing instructions for this on the Young Mountain Tea site, but Raj recommended treating it with a light-touch. I figured a Darjeeling-ish technique would work well enough – 1 tsp. of leaves, water at just under a boil, and only a two-and-a-half-minute steep. It was my usual, go-to approach for Indian teas, anyway. For the sake of full disclosure: The first brew I did at a full three minutes ended up extremely bitter. Like, Assam bitter but with more groin-punching. Two and a half minutes was the steeping sweet spot. One should not go over that. The liquor brewed a medium-bold amber color with an oddly smoky/spicy aroma. 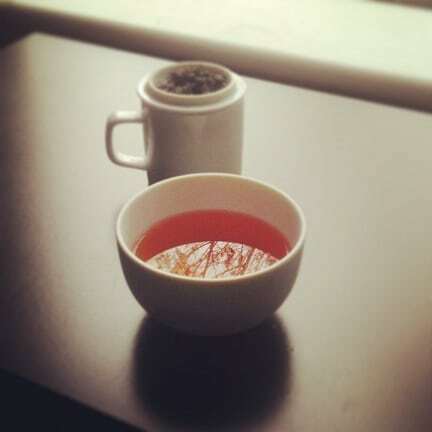 I likened it to a Keemun aroma with a slight Darjeeling bend. On taste, the forefront was all Nilgiri – slightly astringent but satisfyingly apricot. That transitioned into a floral, almost jasmine-like middle, and trailed off into sweetness, spice and silk. The aftertaste was lingering, but not unwelcoming. A second infusion at a slightly longer time turned out even fruitier. Nilgiri is the one growing region in India that has continued to surprise me in recent years. Often given a bad rep for low-quality teas, farmers like Suresh Nanjan and, now, Indi Khanna have been doing their darnedest to dispel such notions. I’m also overjoyed to see new companies like Young Mountain Tea taking a vested interest in their development. I’ll keep a bird’s eye view from my cup. In my pajamas. Wishing to grow an epic mustache.